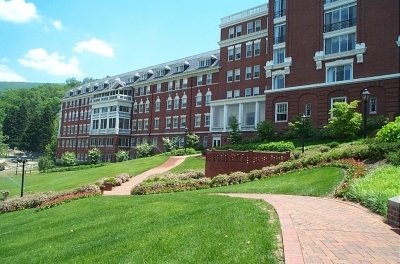 HOT SPRINGS, VA -- It all started with seven people in hot water. Such a simple and basic statement only suggests what it then became -- but what we now call The Homestead Resort in Hot Springs, Virginia, began with a traveling physician's discovery and subsequent diary entry mentioning some naturally warm and hot mineral springs in 1750 (along with seven folks soaking in them). Adding to the irony, the area became a resort sixteen years later because of a land grant from the Virginia Colony's government to a military officer. It may have been founded in 1766, but everything about the 21st century Homestead speaks of first-class attention to detail. And it was all due to something that was a rare pleasure in those days -- heated water. The Homestead Resort was established in 1766 as a retreat for visitors to take advantage of its warm and hot mineral springs. The land that now makes up the town of Hot Springs was granted as payment for service to a Captain in the Virginia militia, Thomas Bullett, in 1764. Bullett then induced some homesteaders to come and clear his land, improve the springs, and build a rustic lodge for guests to stay in while enjoying the natural benefits of the resort's warm waters. Hence, The Homestead was founded in 1766, and today is thought to be the longest continuously running resort in the United States. It's hard to imagine what it must've been like back then for travelers -- 10 years before the signing of the Declaration of Independence and 20+ years before the adoption and ratification of our Constitution--and in the middle of a wild and untamed wilderness. Time puts things in perspective, but one theme seems to come through the years unmodified since the inception -- luxury. A large part of every visit to The Homestead is dining -- don't forget to pack coat and tie for an evening of gourmet cuisine and excellent service. Now, what was luxurious to the colonists back then might not qualify for us contemporary folks, but times change, and The Homestead morphed with them. It's always been a place to come and relax with style and elegance. That's especially true today. The Homestead in 2001 boasts luxury and relaxation in abundance. The golf found there is amongst the finest you'll find anywhere, as noted many times in respected publications such as Golf Digest and Golf Magazine (which up until this year bestowed upon the resort a Gold Medal, one of only 18 in the entire United States. This year, it won a Silver). The resort's three courses were all designed by legendary golf architects -- Donald Ross for The Old Course (with additions made by Rees Jones), William S. Flynn for The Cascades, and Robert Trent Jones for the Lower Cascades. I've highlighted each unique golf experience in a separate article. Here's I'll focus on the before and after golf activities found at the Resort (bear in mind, this is a partial list -- there's far too much to do to cover in a brief visit or a brief article). For something a bit less formal (though equally tasty! 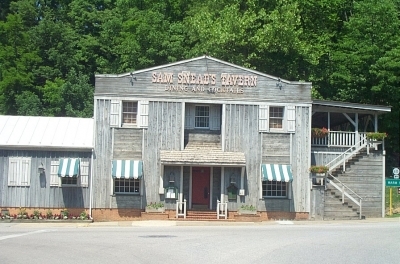 ), head across the street to Sam Snead's Tavern. Though the legend will no longer be visiting, much of his memorobilia still remains. 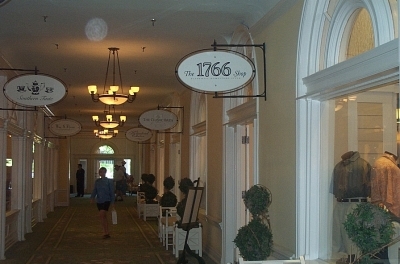 First off, I'll note The Homestead was acquired by Dallas-based Club Corp in 1994, which (under the direction of the Pinehurst Company) has spent millions in upgrades on the resort -- everything from the refurbishment of the main hotel building to an upgrade of The Old Course. The changes no doubt brought The Homestead to where it is today. Even before you jump into the activities, you'll marvel at the quality of your hotel room. If there was ever a resort room where you'll regret having to go back home -- it's at The Homestead. The resort offers 506 guest rooms and 77 suites, all decorated with fabulous classical accompaniments. Some feature wood burning fire places, while others have porches to relax on during a lazy summer afternoon. My only caution -- once you stay there, you may find yourself checking your credit card balances to see if you can afford improving your own home. It tends to spoil you. Speaking of spoiling -- in addition to the great golf at the resort, a visit to The Homestead's Spa is a must. Take a soak in the historic mineral baths, or receive a treatment from the Homestead's trained professionals. The Spa offers massages, hydrotherapies, body wraps, facials and pedicures, amongst other delights. 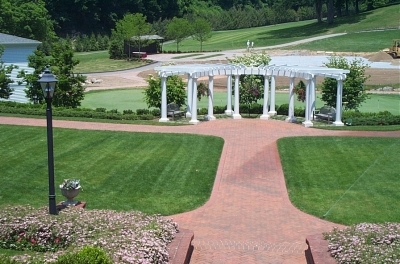 The Spa was founded in the 1830's by one of The Homestead's most famous proprietors, Dr. Thomas Goode -- who was years before his time in advocating the benefits of Spa 'treatments' for a person's well being. Even a stroll through the grounds at The Homestead adds a special quality. Once you've been thrilled on the links and pampered in the Spa, take advantage of the incredible dining opportunities at The Homestead. Meals are part of many of the Resort's packages, which makes it all the easier to enjoy what the chefs have to offer. 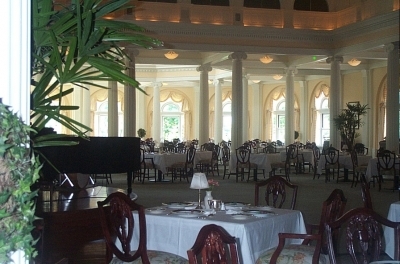 Bring your jacket and tie for an evening at The Homestead Dining Room. The Dining Room offers elegant dining and gourmet cuisine, an outstanding wine list and even better service. You'll feel like you're taking a trip back in time to when more formal meals were part of the American culture -- but it's not stuffy. I brought my two little ones to the meal, who felt just as much at home in their Sunday best as I did -- and we all enjoyed the live music and dancing on the ballroom floor. Quite a grand experience for all of us. For a more casual atmosphere, make a trip across the street to Sam Snead's Tavern -- where you'll still be able to enjoy excellent food, but in a more informal setting. Once, lucky guests would occasionally get the experience of a drop-in from Mr. Snead himself; sadly, of course this is no longer possible. As you might expect, there's a plethora of Snead memorabilia on the walls, and it's more than enough entertainment for you to enjoy sharing in the career highlights of one of the greatest golfers of all time. Shopping is included in your Homestead stay, though purchases are extra. Of course there's more to The Homestead than just golf, mineral waters, spa treatments and eating. Other activities include tennis, skiing in the winter, horseback riding, romantic carriage rides, miles upon miles of hiking trails, a world class shooting range, fly fishing, mountain biking, on-site bowling and even falconry -- amongst other things. The resort also offers children's programs for the kids, meeting facilities for your business needs, and various kinds of instruction on all of the above activities. Of special note in this regard is The Homestead's Golf Advantage School, a well-regarded instructional program that originated at another of Club Corp's fine resorts in Pinehurst, North Carolina -- known as the Capital of American golf. All that's found at The Homestead can't be covered in an overview, and really needs to be experienced to be believed. It's simply a timeless journey to a fine destination in what seems like another world. So the next time you're in hot water, shed a glance towards the horizon -- and maybe a good time's waiting for you. The Homestead's Historian: John Hoover, a very valuable source of information! Call the above number or click on the website link for further information on resort packages and special events.